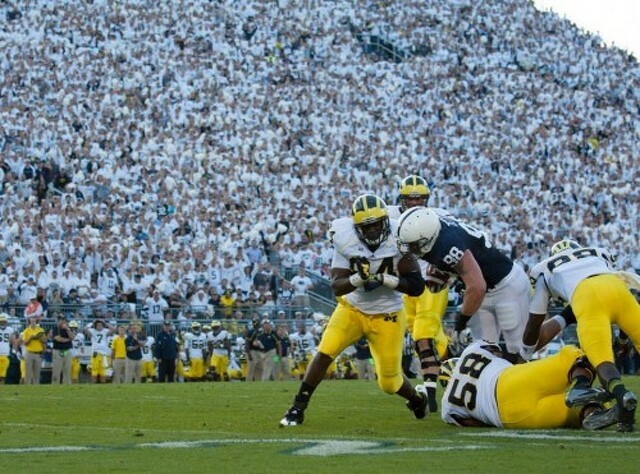 Photo courtesy of Penn State. Steve Manuel believes that every American should have to visit a military base overseas at least once. Manuel, who's made numerous overseas trips since 1998, just returned from a one-week stint in Afghanistan on July 8. The retired Marine serves as an official photographer for USO tours in combat locations. The tours bring entertainers to boost the morale of service members and their families. Manuel, a photojournalism and public relations instructor in the College of Communications, spent the first week of July traveling to military bases in Afghanistan with actor Cole Hauser (“Transcendence”), who signed autographs and posed for photos with the troops. On past trips, Manuel has photographed Stephen Colbert, Dane Cook, Kellie Pickler, Toby Keith, professional athletes, coaches and the Dallas Cowboys cheerleaders. For nearly two decades, Manuel has participated in USO tours, traveling to Afghanistan, the Balkans, Guantanamo Bay, Okinawa/South Korea, Iraq and Kuwait. Manuel joined the Penn State faculty in 1996 after serving as public affairs officer for the Office of the Secretary of Defense. 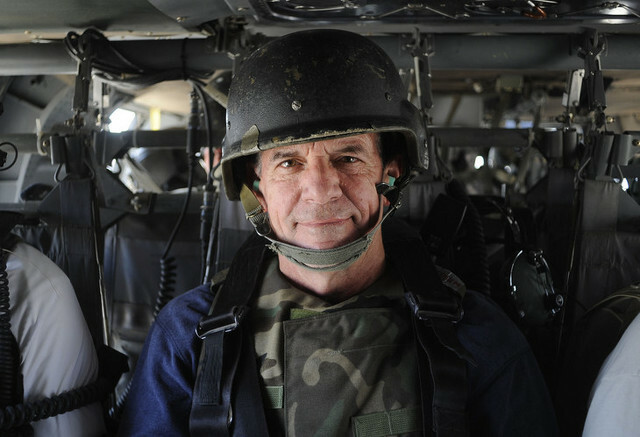 He teaches introduction to public relations, public relations methods and problems, crisis communications and first-year seminars in war reporting and ethics in photojournalism. Since he graduated from Penn State with a bachelor’s and master’s degree, Manuel’s has won many photography and writing awards. His photographs have been featured in more than 115 publications, including The New York Times, Time magazine, Sports Illustrated and USA Today. Most of his USO trips fall during semester breaks so he doesn’t have to take time off from teaching. On Manuel’s July trip to Afghanistan, some of the areas he visited were dangerous. This is the case on most trips, but it’s still something he enjoys doing every few months because he gets to interact with the troops and see how things have changed since he served. He had been retired from the Marines for two years when the director of the USO, who he had served with on active duty, contacted him about going to Bosnia in 1998. He says he didn’t really want to go to Bosnia because he was retired from the military. Then he was told he would go with a dozen Dallas Cowboys cheerleaders so he went. And he’s continued to go overseas ever since. Penn State's football team has added two opponents to its future schedule -- Georgia State and Kent State.